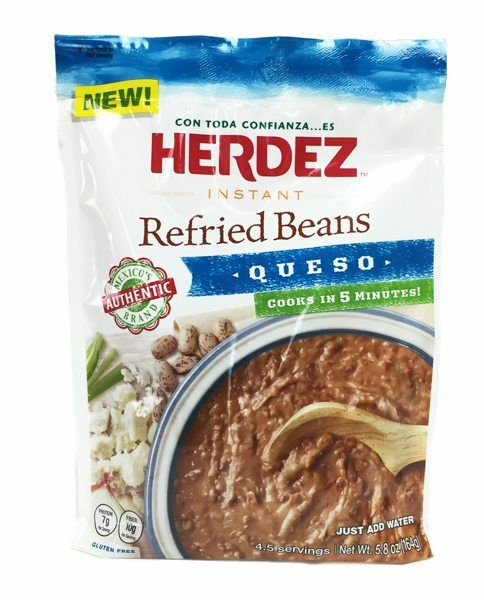 Herdez Mexico's Authentic Brand brings Pinto Refried Beans to your home, ready in minutes with authentic home cooked taste and texture, something you just don't get from a can. 1- Bring 1 1/2 cups of water to a boil on stovetop in a 1 to 2 qts pot. 2- Stir in contents of pouch. Cover and simmer on low heat for 5 minutes, stirring occasionally. 3- Remove from heat, uncover, stir and let sit 5 minutes before serving. 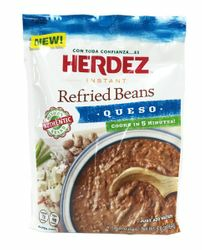 Add Herdez Salsas for an even better taste. "Con toda Confianza es HERDEZ".